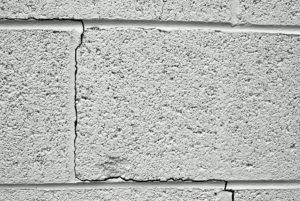 If you’ve recently noticed issues with the foundation of your home, it’s important to quickly take care of them before larger problems arise. For foundation repair services, trust the experts at Allmaster Home Services. We’re a family-owned and -operated business that homeowners in the Bowie area have turned to since 1987, relying on us to fix their foundation problems and return their homes to working order. Our personalized services and knowledgeable professionals will provide the effective solution your home requires. If we discover any of these indicators during our initial meeting, we’ll then perform an in-depth inspection to determine what the underlying cause is, such as a tree pushing on your house. Allmaster understands that every foundation is unique, and therefore we formulate a solution specific to your home in order to repair it properly. Some solutions we offer for foundation repair include carbon fiber straps, steel I-beams, underpins, and full wall replacements. For foundation repair services, contact Allmaster Home Services as soon as possible. We can quickly return your Bowie, Maryland, home back to normal.